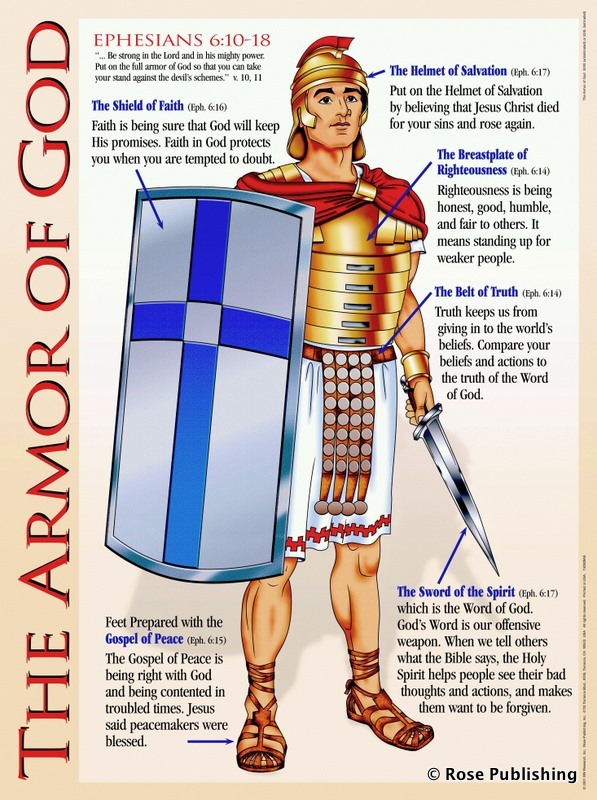 Every believer is to put on full armour of God daily through intense powerful prayers. Since lucifer, satan the devil rebelled against God in Heaven with a third of angels in Luke 10:18 Revelations 12:7-9, satan fell like lightning on earth. The devil continues to decive and blind people, as recorded in 2 Corinthians 4:4, to deceive them to doubt and rebel against God’s love to lose faith, trust and confidence in God. Since the devil lost the war in Heaven the new strategy is to target God’s people to try to create fear, to waver in faith by putting difficulties, confusion, obstacles in people’s way. The angel of light’s deception is so subtle, the very elect can be manipulated if they do not protect themselves with the armour of God as stated in Matthew 24:24. The devil was once the highest archangel in Heaven and the best musician who due to pride, insolence and insubordination wanted to take over God’s Glory. God threw satan out so forever and will be destroyed in hell at set time. The devil tries to take over God’s Creation from Adam and Eve to date. Trying to deceive people from submitting to God, the Owner Creator of Heaven and Earth. Everyone who works extremely hard to design, create knows the difficulties involved. The challenges, sacrifices, time, blood and sweat it cost them. For example the Mercedes car company creates a prototype and ready to roll into production. 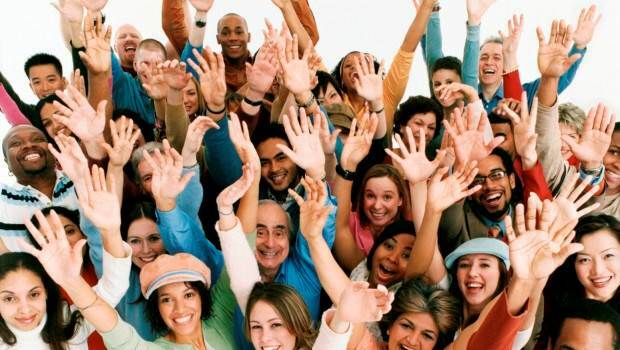 Someone turns up to tell them the car evolved so he wants to patent and take credit for the maintenance rights. In addition that person tries to set about advertising and publishing alternative manuals for customers to use to guide them instead of depending on original instructions of the rightful business owners. The one impersonating Mercedes tampers with design to manufacture fake counterfeit one without authorisation. The owner of Mercedes company will never allow take over by any incompetent diabolical person to destroy an excellent business reputation. So satan undermines God to make people there is something better than what God gives misleads people to sin against God to be destroyed. So does the devil try to control people’s lives, minds, decisions and actions by using suggesting ideas contrary to the plan of God for them. The world subconconsciouly condones the devil more than people realise so it is necessary to get back to the original manual of God’s word to learn and understand it. It is not complicated at all it is people who create confusion with their interpretations. Read, search and choose specific verses that relate to your situation and keep repeating to yourself until it cancels out and resolves that need. Do not be discouraged because your miracle did not happen overnight. Keep on keeping on in the strength of God in faith until something happens in Jesus Name. Give thanks to God at all times. 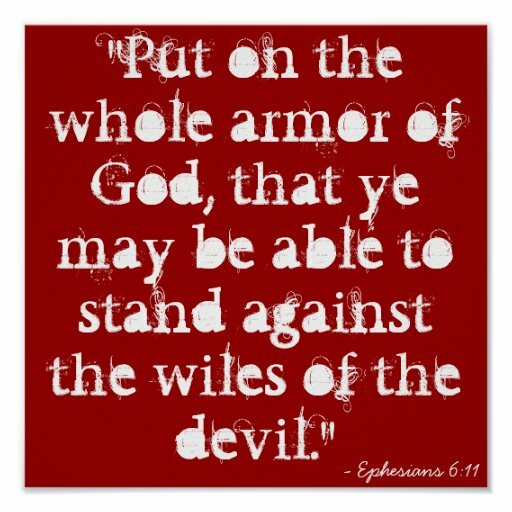 Ask God to help you put on your armour daily to cover you with the BLOOD of Jesus in Jesus Name. The Holy Spirit helps to open believer’s eyes to understand and discern spiritual TRUTH to deal with roots of problems so not to fight against flesh and blood. The power and spirit behind some attacks is the devil influencing certain behaviours and actions so must be tackled and dealt at source. The person being used must be prayed for and covered by the Blood of Jesus in Jesus Name. 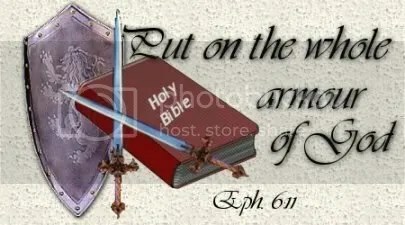 It is necessary for the believer to put on the full armour of God, the word of God, which is a two-edged sword which will not return void but accomplish whatever it sent to achieve in Jesus Name. Just as the best army fully equips its soldiers with the latest gadgets to defeat the enemy by air, land and sea, so the believer cannot go to battle without their armour of protection. The equipment by itself cannot guarantee victory because it is the military training, physical fitness, experience, teamwork, covering each other’s back from friendly fire, avoiding distractions, tactics and strategies in place that outwits and destroys the enemy totally. 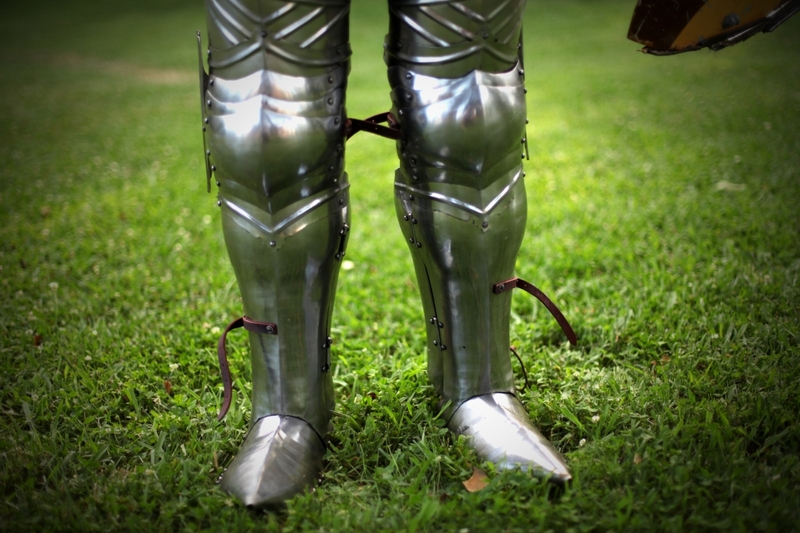 Similarly, Christian Soldiers are fully equipped by the MIGHTIEST Warrior in battle, Jehovah Nissi to claim and walk in the Victory already won for us 6,000 years ago by Christ Jesus. In Psalm 20:7 it says some trust in chariots and horses the believer’s spiritual weapons are not carnal but Mighty in God to pull down strongholds of the enemy of the soul in Corinthians 10:1-6. Again Matthew 10:28 says believers do not fear those who kill the body but not the soul, but Fear and Obey God ABOVE ALL who can kill the body and soul. With God’s armour of protection and Perfect Peace of God satan is already under your feet in Romans 16:20 in Jesus Name. In Hebrews 4:12, God’s Word is Quick, Powerful, Sharper than a two edged sword, Piercing and cutting through the soul, spirit, joints and marrow and is the discerner of the thoughts and intents of the heart. So use God’s word to defeat the devil because Jesus won the battle to cause us to triumph always in Jesus Name with Thanks, Praise and Glory to God.